Today I woke up ready to take on the world! Michael and I decided to stay in Iganga to discuss the next phases of the SOUP and financial planning. But before I begin, Michael needs a bit of explanation. The question is often asked: who actually runs the project in Africa? Is this person even capable (etc. etc)? So without further ado, Mr. Michael Kaidhiwa. Michael grew up in the village. Actually his father is the minister of the church in the SOUP community. His dad rides a bicycle back and forth from church at a ripe ago of 78. Michael’s heart for these kids is absolutely undeniable. In fact, he actually introduced me to the village 2 years ago. However, the SOUP is not their only commitment; He and his wife wear many hats in this community. Along with owning a small printing company, Frita and Michael work with ELI (an excellent non-profit out of Colorado) placing volunteers from all over the world in various projects. ELI entrusted Michael with the entire Uganda project and according to both ELI and the volunteers, he’s doing a superb job! The importance of working with the local community is vital. Going into the village as a white person on a mission, usually turns sour. It’s a relief, because everyone in the village seems to know Michael, but more importantly, they all seem to love him. This is obvious by the respect given to him by the elders and the amounts of people he takes 2-5 minutes to “catch up” with on our visit. This is a very good thing. I was welcomed when I visited the village and treated like an equal, rather than some kind of alien. I can thank him for such an earth-like greeting. But not to worry, we are also very particular about holding each other accountable. To ensure accountability he sends me a budget, which I send back with corrections, and then he sends the new version back to me. Finally I approve and send the finances. Lastly he sends expenditures and pictures (if possible). Interesting fact, he does not even take a salary for his work. Obviously our SOUP Staff (myself included) does not take any contributions, but the same goes with Michael. He’s just the right person for the job; my only concern is that Michael might not want to fill this position forever. Soon we will need to bring one or two America onto our project. Granted, this is not an easy feat. Finding someone willing to live without running water in general is difficult, but to also ask them to also teach, administrate and do varies other major task, might be close to impossible. And we refuse to take someone less than perfect for the job. This person or persons would need to be so incredibly strong and unafraid of such a crazy challenge. So I pray we find the right individuals. I must go now, but I will keep you posted about our next visit. PS: It’s been awesome hanging out with Ms. Sarah Thomas—she’s about the best designed non-african African ever. I’ll explain in the next blog. This is a good initiative and we(as Ugandans) are so Happy you are undertaking this. Am Herbert Musoke from School Guide Uganda a company which has specialized to make an online directory for all schools in Uganda. We can be found at http://www.schoolguideuganda.com for more details. 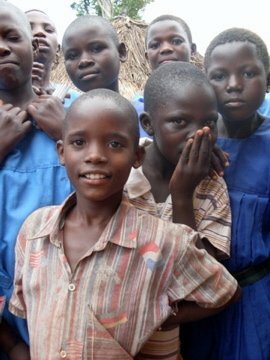 Please help shape the future of Uganda's Education too by registering all the Schools you are Connected to.